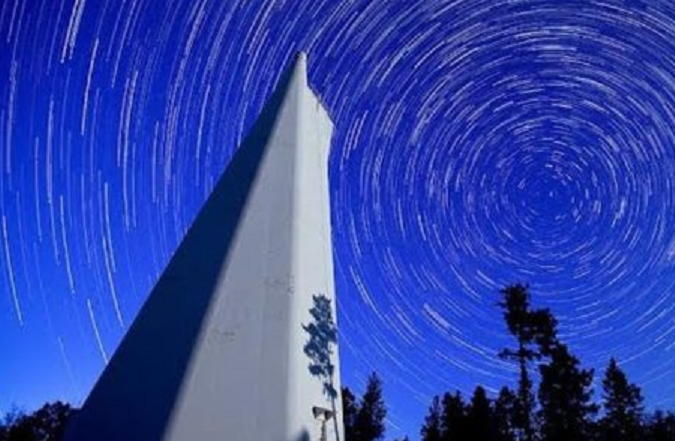 Speculation is rife as to what is going on at the Sunspot observatory in New Mexico after the FBI closed down the site earlier this week (arriving in a helicopter) and closed off roads towards it. Authorities remain tight-lipped as to why the site was closed. The facility is a part of the National Solar Observatory and AURA, the Association of Universities for Research in Astronomy, maintains it. The four employees of Sunspot were evacuated September 6 together with the five or six employees of AURA. The US Postal Service, which operates the Sunspot Post Office also evacuated their employees at the demand of the FBI. Mr. McAteer states he does not know how many people worked at the facility. Furthermore, some 12 to 15 residents were also evacuated, according to the observatory director. Meanwhile, Otero County Sheriff Mr. Benny House stated: "The FBI is refusing to tell us what's going on. We've got people up there (at Sunspot) that requested us to standby while they evacuate it, nobody would really elaborate on any of the circumstances as to why. The FBI was up there. What their purpose was nobody will say." He then added: "For the FBI to get involved that quick and be so secretive about it, there was a lot of stuff going on up there. There was a Blackhawk helicopter, a bunch of people around antennas and work crews on towers but nobody would tell us anything." What do you think is going on at Sunspot? Let us know in the comments section below. I think it’s related the the mercury used in the floating bearing at the Richard B Dunn solar telescope. Construction supervised by U.S. Army Corps Engineers. Its an interesting note that the structure extends over 200 foot below ground level. Lots of high tech equipment in place. Both telescopes, on the grounds, can be controlled by computer from another location as well. Maybe there is some communications or spying abilities involved there. But the kicker that doesn't make any sense is the closing of the post office. So strange and X-Filey. P.S. U.S. Began Large Scale Air Assault Drills At White Sands Nuclear Missile Range Military Base, (which is in the valley directly below), one year ago. I could imagine that with the latest knowledge of certain servers of certain people with certain foundations, with certain keys to backdoor to any computers in the world, that maybe that info was for sale to any and all who offered donations. Possibly an adversary could have the ability to zone in the military base and collect highly secret information. Still doesn't account for the post office. I think Aliens are sucking up energy from our sun, & they don't want anyone to see them doing it again. Remember a few yrs ago when it looked like some kind of weird creature was siphoning enery from the sun, it was all over YouTube. Just a thought. Supposedly this happened to many observatories, as many as 5 others across the world. There's also footage of a disc shaped object (claimed to be the moon) passing over part of the lens, and reversing and passing over it again. The moon was in the southern hemisphere at that time which makes it impossible. Hi I am an Alien and the commander of a far Galaxie . I have order to safe the world from Donald Trump! WE DONT NEED NO STINKIN ALIENS!! I read an article stating there are other observatories closed, 2 in Hawaii. In that article an amateur star gazer got pics of the sun. What looks like a fleet of ships. The other theory, makes more since due to the PO being shut down, is China was using the antenna of the observatory to spy. SOLAR WARDEN FLEET RETURNING TO EARTH FROM EXTENDED MISSION ON 'OPPOSITE' SIDE OF SUN. Sun-spot got hacked maybe and shot lazer from their observatory at ISS i.e. leaking ? Russians have a base on the Sun. The Vatican was probing for young life in Uranus.